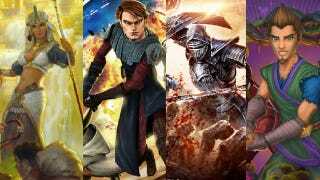 Citing the need to refocus its resources in other areas, Sony Online Entertainment today announced the impending closure of four massively mutiplayer online games — Free Realms, Star Wars: Clone Wars Adventures, Vanguard: Saga of Heroes and Wizardry Online. In a statement sent to Kotaku this afternoon, Sony Online Entertainment's senior director of global communications, Michele Cagle explained the specific reasoning behind the decision to close each game. Free Realms, the family-friendly free-to-play game for the PC and PlayStation 3 has "has reached a point in its life cycle where players are moving on to other games." The game will close on March 31. Another family-friendly free-to-play game, Star Wars: Clone Wars Adventures also sees its players moving on, so SOE and LucasArts have agreed to close it down on March 31 as well. Vanguard: Saga of Heroes, a long-running game created by the makers of the original EverQuest, will be closing down on July 31. Decreasing player population and the increasing cost of updating the game are cited as reasons behind its closure. Finally we have Wizardry Online, a more recent release. No real reason given there, though I suspect a general lack of interest is to blame there as well. SOE and partner Gamepot will also close on July 31. SOE president John Smedley will be participating in an "Ask Me Anything" on Reddit at 3PM Pacific. Players of the canceled titles are encourage to participate. Having played and somewhat enjoyed each of these four games, I can't say I am suprised by the decision. The kid-friendly Free Realms and Star Wars titles were delightful, but not all that deep. Vanguard was a horrific mess and a major disappointment when it was launched in 2007, and probably should have died ages ago. Wizardry Online, with its innovative and unforgiving perma-death system, never really picked up steam in North America. Sad to see them go, but we're not surprised they're going.